Alzheimer’s Care is important because Alzheimer’s is a disease that is debilitating to the person living with it. The condition makes it hard for sufferers to carry out even the most basic of daily tasks, especially when the disease is advanced. Alzheimer’s disease is the most common type of dementia. Dementia is a general term which covers memory loss and problems with thinking, along with other cognitive processes. The disease is most common in the elderly, accounting for around 60 – 70% of dementia cases. However, it can also affect younger people, when this happens it is called early-onset Alzheimer’s. Here, we take a look at some of the signs and stages of Alzheimer’s, the causes, life expectancy, and why Alzheimer’s care requires special attention. The signs and symptoms of Alzheimer’s usually develop quite slowly but get substantially worse over time. The symptoms often become severe enough that they interfere with even the most basic of daily tasks. Around stage 4 is when people need to start getting an Alzheimer’s care plan in place. At this point, the signs and symptoms of the disease are very clearly showing. Like other types of dementia, Alzheimer’s is caused by the death and degeneration of brain cells. The disease is a neurodegenerative disease, this means that over time, brain cells die and the sufferer’s brain can no longer make the connections it once did. There are also genetic factors at play. 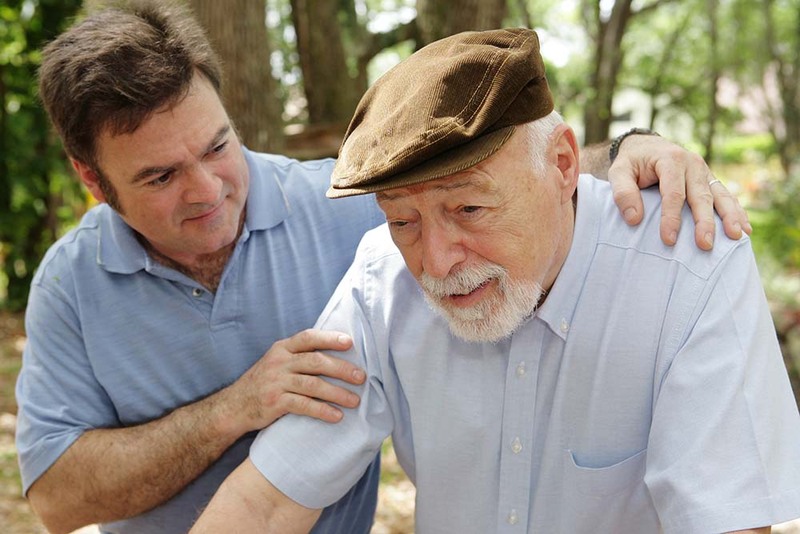 A diagnosis of Alzheimer’s is more likely if other family members have had the disease too. People with Down syndrome are at an increased risk of developing Alzheimer’s, as are women, and those with a pre-diagnosed mild cognitive impairment (MCI). Alzheimer’s is a terminal disease. Most people with the condition will live around 8-10 years longer post their diagnosis. Others live longer still. This is partly down to general health and other pre-existing medical conditions. It is an unfortunate truth that all people living with advanced Alzheimer’s will need 24-hour care and support. The kind of care required is often above and beyond that which can be provided by family members, who often have their own commitments. Furthermore, family members may find caring for a loved one with Alzheimer’s emotionally and physically taxing. At Haym Salomon Home for Nursing & Rehabilitation we are committed to providing care for patients with Alzheimer’s, among other neurological and cognitive diseases. We offer a range of recreation facilities, therapies, and activities, along with 24/7 care and support. If you or someone you love has been diagnosed with Alzheimer’s, please get in touch with us to find out how we can put together a tailored Alzheimer’s care plan for you.